Duckhams, the much loved oil brand, known around the world for its distinctive green hue has been relaunched here in the UK. Inextricably linked to British motoring heritage since 1899, it invented Europe’s first ever Multigrade oil, Duckhams Q in 1951, an advancement that changed the face of automotive lubricants forever. And now Duckhams is back with a range of oils for classic vehicles and the intention of expanding the range into motorsport and modern vehicles in the near future. It’s products were specified by almost all UK vehicle manufacturers responsible for producing cars from the golden era of motoring. MG, Morris, Wolseley, Rover and BMC all recommended that you didn’t use anything else! Motoring fans cannot fail to be impressed by the achievements that the historic British oil manufacturer has to its name. Through the further development of Q20w-50 with Morris, they made the ground breaking compact design of the Mini possible, through providing Morris with oil that could cope with the shear factors involved in lubricating both the engine and gearbox. MG broke land speed records in Utah in the early 1950s, Jacky Ickx won the race of champions at Brands Hatch in 1973 and James Hunt took his first F1 victory for Hesketh, – all with Duckhams Q in their sumps! 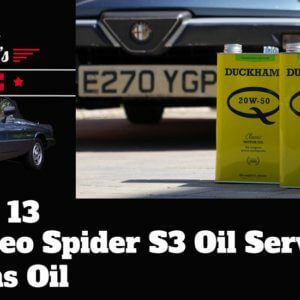 Duckhams now offers a range of oils for the classic car motorist. This includes SAE30 and SAE40 and their well-respected ground breaking multi-grade Classic Q20w-50. They have also made available a handy pdf to explain ZDDP in their classic motor oil (ZDDP stands for Zinc Dialkyl Dithiophophate). You can read more about how they are using ZDDP for historic vehicles here. 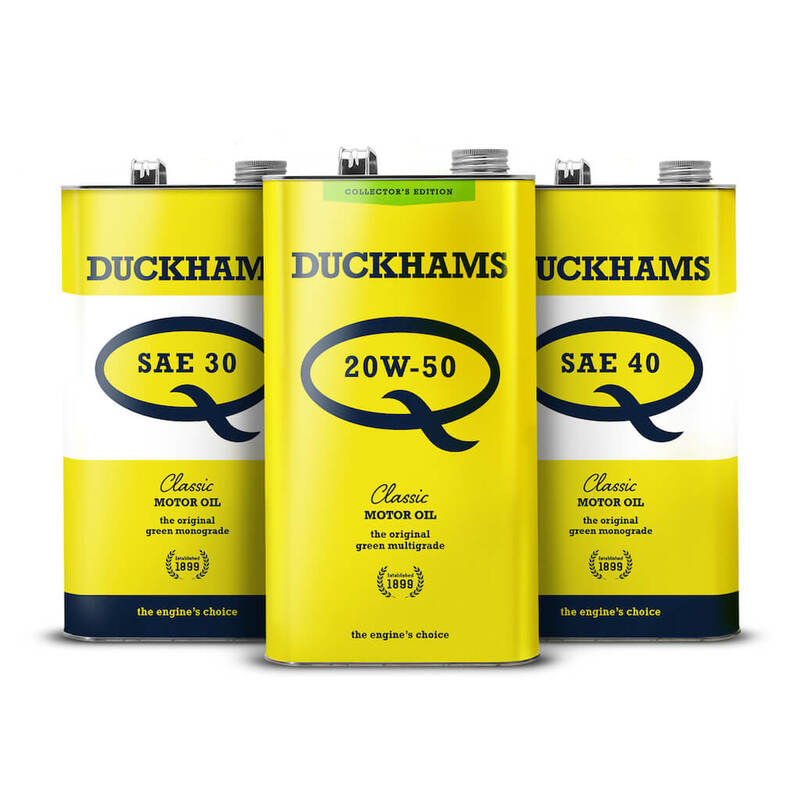 Take to the Road is delighted to announce that Duckhams have kindly supplied us with a quantity of Classic Q20w-50. This will be used to service the Alfa Romeo Spider and the Vauxhall Viceroy as part of our Take to the Roads Garage series. 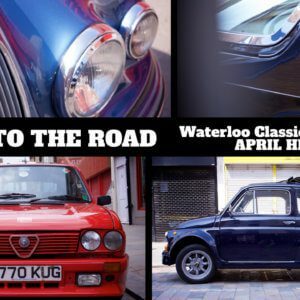 We will be showcasing the new Classic Q20w-50 oil and the special collectors edition tins in an upcoming episode of Take to the Roads Garage soon. Stay tuned to the YouTube Channel for updates!